Thank you so much to all our wonderful students. Get out there and start sharing. And then one of Ram Dass old buddies Krisna Das, both spiritual sone of Neem Keroli Baba shows up in Rishikesh … so off to see the legend for a few hours of meditative, Bhakti laden atmospheres. 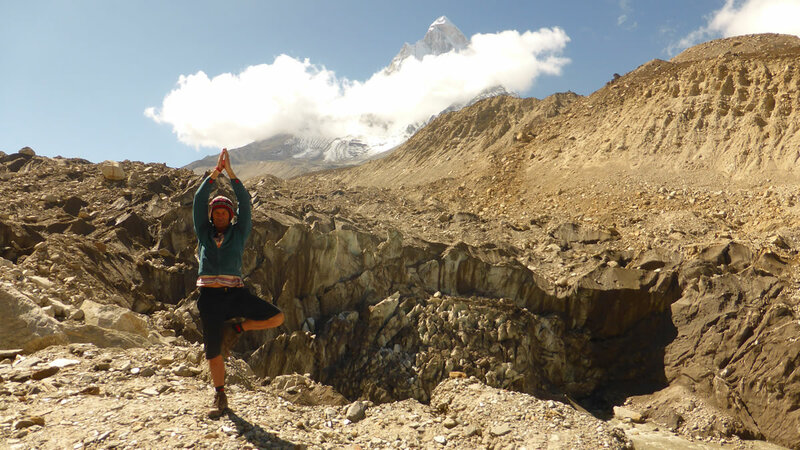 We go to the official beginning of the GANGGA, however the source of one of those tributaries, The Bhagaraiti River is WAY away, so I went there also … Gomukh Glacier at the foot of Mount Shivaling in the Himalaya a days hike from Gangotri. Met 2 saints on the way … and a wise man… best not to confuse the 2. Gomukh Glacier face and the Gangga begins.